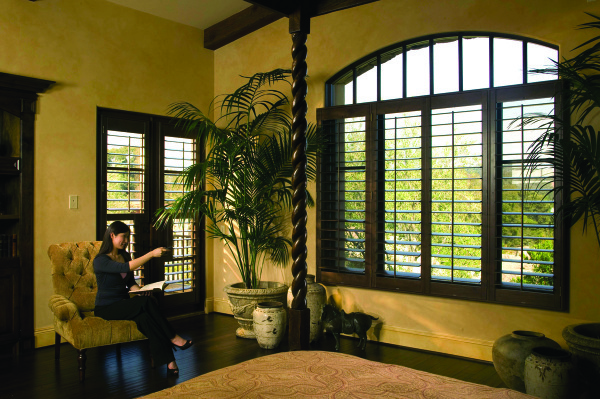 Woodlore- Composite shutters are warp resistant and colorfast. 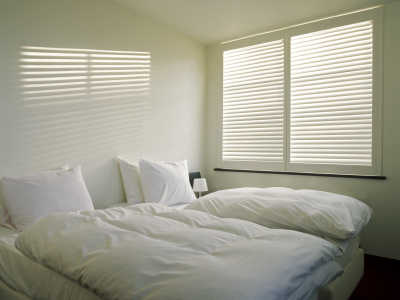 This is a great alternative for white and off white wood shutters. Woodlore is lead free, VOC free and environmentally safe. They have a R value of 4.63 which is a high insulation value. 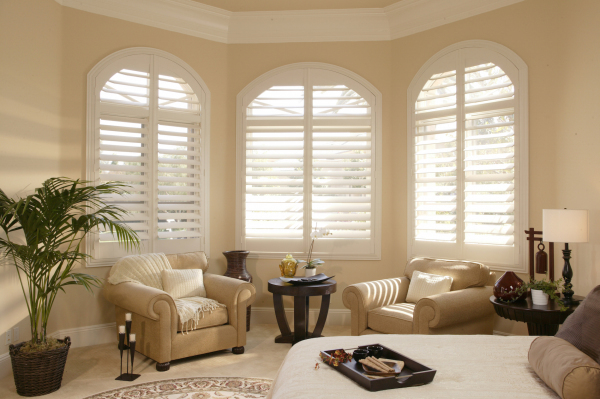 Woodlore also offers a UV inhibiting finish to protect the shutters from discoloring. 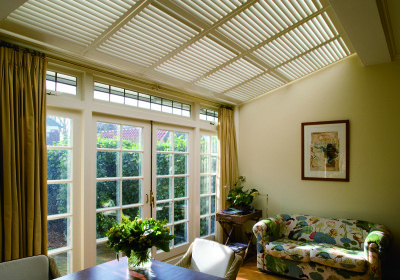 Woodbury-Composite shutters which are very resistant to water. Great for shower and swimming pool areas. Normandy- Select hardwoods (such as basswood) are used in this product. These come in many paint and stain colors. Custom color matching is available. Sussex- Select premium hardwoods (such as Teak) which are grown in Norman mananged forests. These wood shutters come in many paint and stain colors. Custom color matching is available. Due to being lighter in weight Woodlore Plus is a great product for sky lights and specialty shape windows. The panels can be made up to 36 inches wide. ​Really accentuate these beautiful windows!! ​Woodlore shutters transformed this space! 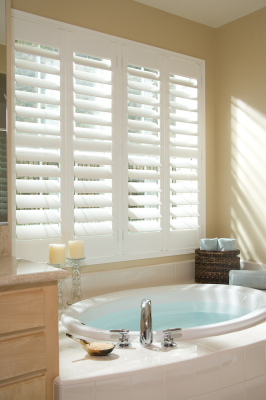 Normandy Shutters Look great over sliding glass doors. 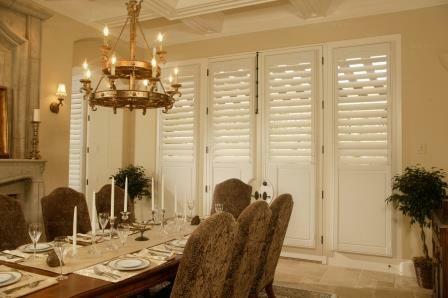 Normandy Shutters can be made for any specialty shape. 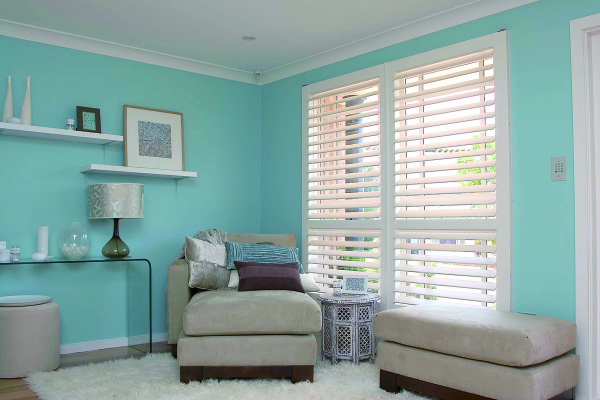 Sussex Shutters operating with a remote control.